Weighing only 700 grams, Seta road frame is the latest and most advanced frame Sarto has ever produced. That weight puts the frame in right up there with Cannondale SuperSix Evo and Cervelo R5, two of the lightest frames on the market available for purchase. The Seta features brand new tube designs, starting from the flat shape of the top tube to the ultra thin chain stays. Sarto Seta 2015 equipped with with Campagnolo Super Record. 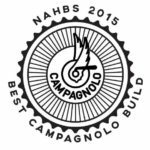 “The Best Campagnolo Build” winner at the North American Handmade Bicycle Show. The Seta, as with all Sarto Antonio frames, is produced by hand in Italy, and that includes the actual manufacturing of the tubes as well. It is made of the best and stiffest carbon the market has to offer, M55J. This type of high modulus carbon fibre ensure great compressive and tensile strength. The Seta features new profile main tubes, with a flatter top tube and really skinny chainstays. 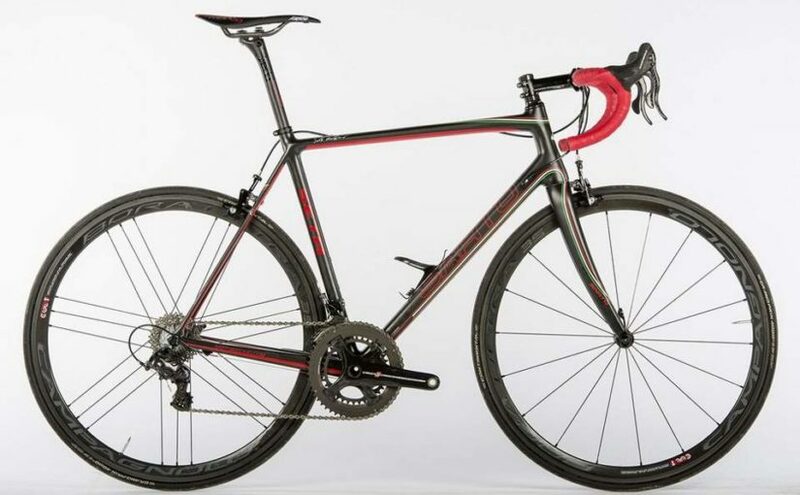 The prize winner bike is built up with a brand new Campagnolo Super Record 11-speed 2015 mechanical groupset, Campagnolo Bora Ultra wheels and Deda handlebar, stem and seatpost, with a slender carbon fibre saddle colour-matched to the frame. 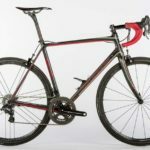 arto is an Italian custom bicycle frame manufacturer. The company founded by Antonio Sarto in 1950. Since then, they’re producing handmade custom bicycle frames. Sarto produce more than 2500 frames and create new models each year. The company has been working with carbon for more than 15 years.